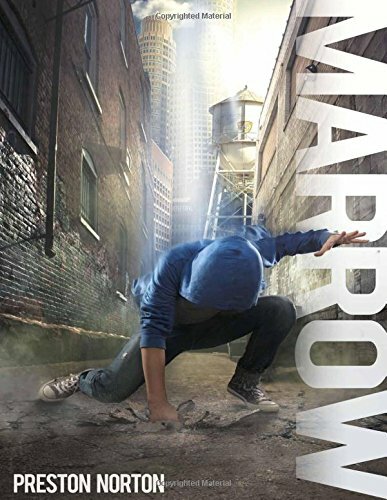 Amazon.com description: Product Description: Marrow is a fourteen-year-old prodigy at the Fantom Institute for Superheroes-in-Training. To be paired with a top-notch Superhero mentor for the summer, Marrow has to get a perfect score on the Final Challenge. However, a series of disastrous events lands him on academic probation, and he ends up being paired with FlexÃÂa drunk, hippie bum with the superpower of elasticity. Powers and personalities clash as the two Supers struggle to overcome their differences and work together with MarrowÃ¢ÂÂs friends to prevent the return of Cosmo CityÃ¢ÂÂs most notorious Supervillain: MarrowÃ¢ÂÂs estranged father, Spine. About: Marrow is a fourteen-year-old prodigy at the Fantom Institute for Superheroes-in-Training.